Our sophisticated fat transfer technique yields natural-looking results that can live up to the most scrutinizing Red Carpet moment. Fat Transfer has quickly become one of the most sought after non-invasive treatments available for facial rejuvenation, especially for the treatment of dark circles and hollows under the eyes. Fat is plentiful, easy to harvest, and because it’s your own tissue, there is no need to worry about your body having a negative reaction or excessive swelling to the treated area. In the early days of fat transplantation, several factors prevented it from being accepted as an ideal procedure. In an effort to improve the predictability of results and to substantially increase chances of the treated area being smooth and attractive, expert Los Angeles and Beverly Hills Facial Plastic Surgeons Drs. 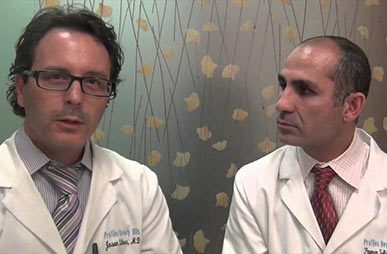 Solieman and Dr. Litner of Profiles Beverly Hills have researched and refined the latest techniques in extraction, handling, processing, and reinjection of the harvested fat. Our surgeons use a state of the art system known as “Water-assisted Liposuction” (WAL) that allows them to harvest the fat with far less trauma to the fat cells, thus providing patients with a beautiful and a permanent result. Fat Grafting or Fat Transfer offers an innovative solution for treating eyelid hollowness that may have always been present or caused by fat loss from prior cosmetic eye surgery, aging, or significant weight loss. The presence of under-eye shadows is a frequent complaint that comes with aging. This is due to a combination of fat and bone loss around the eye and a sagging of the upper cheek. Sometimes, it is an inherited trait that we see in relatively young patients. By filling in the shadow within the tear trough (under the eyes), Fat grafting can make an extraordinary difference in rejuvenating the look around the eye. Fat Grafting can be combined with treatment for other common causes of dark under-eye circles, including excessive skin pigment in this area. Depending on your unique situation, Drs. Solieman and Litner of Profiles Beverly Hills will may prescribe bleaching creams, laser treatments or other skin care solutions which can then be combined with the Fat Grafting to allow for even greater improvement. The lightening of the under-eye skin color is gradual process, occurring over several months. You may be wondering when it makes sense to use temporary fillers as opposed to fat transfer. The answer is largely dependent on your particular goals and the areas you are seeking to improve. In general, if you are seeking a more long term result and more complete volume replacement, then Fat Transfer is usually cheaper over the long term while providing fantastic results. For instance, if you are looking to treat nasolabial folds (laugh lines), dark circles or hollows under the eyes and cheek area, or ‘marionette lines’ around the mouth (which make your smile appear downturned), then Fat Transfer is indeed an excellent option for you. Compared to injections of temporary fillers, Fat Transfer is more cost effective over the long term, since much of the fat lasts in the area for years to come. You would require many syringes of fillers to be administered in multiple treatments in order to accomplish the same goals. The only drawback to Fat Transfer over temporary filler injections is the slightly greater downtime associated with it due to swelling, and the need for some sedation during the procedure. On the other hand, if you are interested in targeting just one area of the face, such as laugh lines that are just starting to show, or if you are looking to get lip augmentation- Drs. 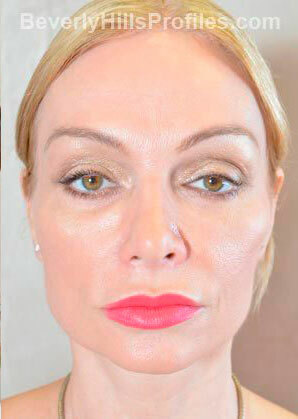 Litner and Solieman of Profiles Beverly Hills have helped their patients achieve tremendous results with temporary fillers such as Juvederm or Restylane. While the results are not permanent (for example, laugh line improvement will last up to a year while lip augmentation will last for 6 months), the correction is very natural and does not require any downtime. 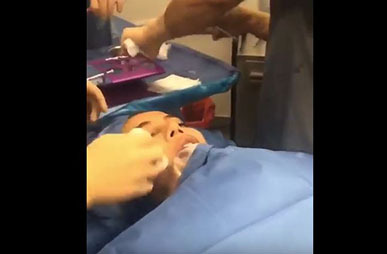 PROFILES Beverly Hills’ “Water-Assisted Liposuction” (WAL) technique allows top cosmetic surgeons Drs. Litner and Solieman to gently dislodge fat clusters and rinse them out of the harvest site using a pressurized water system. Simultaneous low-pressure suction removes the fat, offering smoother results and minimal downtime. The system gently transfers the aspirated fat into a collector, which has a variety of filters to help separate viable fat cells from the surrounding thick, fibrous material that can be a source of lumpiness. What remains is pure, transferable autologous fat, including everything from stem cells to pre-adipocyte and mature adipocyte populations (mature fat cells).Transfer of these fat cells provides the best chance at long term results. How is fat transfer by Drs. Litner and Solieman different than other laser assisted or ultrasound assisted fat transfer? Fat cell clusters have been compared to grapes on a vine. The old technique of suctioning fat cells by hand and processing them by spinning them down in a centrifuge caused excessive trauma to the fat cells, often rupturing many of them and decreasing the number of viable fat cells harvested. Laser- or Ultrasound-assisted techniques use energy to rupture the fat cells, thereby releasing liquid fat for easy aspiration. But, there is often some leftover tissue debris that causes more swelling during the natural healing process. This is a bit like crushing the grapes to make wine. The wine might be sweet but, once used up, it is gone. What the new system allows Drs. Litner and Solieman to do is actually knock the ‘grapes’ off the vine while leaving the surrounding structures intact. A system of filters additionally washes and separates the extracted fat from connective tissue, allowing for smooth lump free injection of virtually pure transferable intact fat cells. These intact cells can gain new blood supply and survive permanently as part of your natural facial fat pads so that the grapes can continue to ‘bear fruit’. What Happens to Injected Fat Cells if you Lose Weight? Once you undergo PROFILES Beverly Hills’ Fat Transfer procedure, the absolute number of surviving transplanted fat cells should be stable for life. However, if you lose significant weight (more than 10 to 15% of body weight), or with many years of aging, you will probably find some normal volume loss in this area along with the rest of your face. Fat Transfer performed by Los Angeles and Beverly Hills surgeons Drs. Litner and Solieman of PROFILES Beverly Hills can result in a permanent change in the new area. When fat is transferred to facial areas such as the cheeks and nasolabial folds (laugh lines), long term rejuvenation can and does occur. Even using the most advanced techniques such as Water-Assisted Liposuction, not all fat cells survive the transfer procedure. However, when careful technique is used, expert cosmetic surgeons Drs. 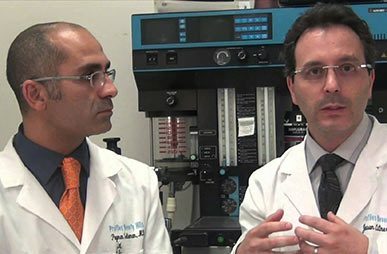 Litner and Solieman have found that under the eyes, over 70% of the fat survives long term, while in the nasolabial folds, the results are closer to 50% because of more muscle activity in this area. The bottom line for our patients is a reliable successful volume enhancement that provides for a smooth and natural rejuvenation around the eyes.